Wednesday the 5th of September 2012 was a night of firsts at the newly renovated Howard Theatre in Washington DC. 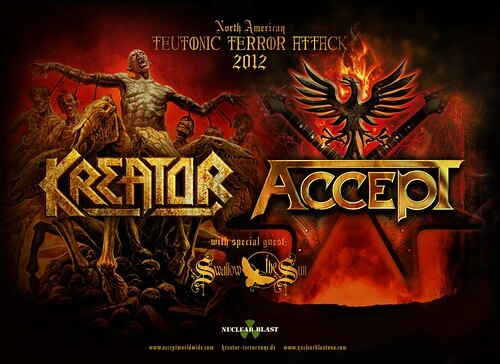 German metal bands Kreator and Accept, along with Finnish opening act Swallow The Sun, were kicking off their North American Teutonic Terror Attack tour that night. 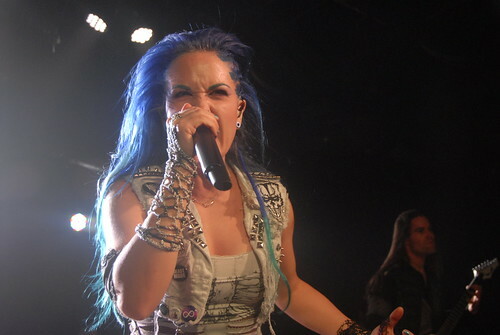 This was also the first real metal show at the Howard Theatre since reopening in April. I say that it was their first “real” metal show because Animals As Leaders opened for indie rock band Thrice there back in May, but that wasn’t a metal show really. 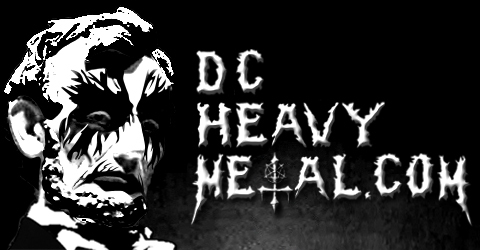 The Kreator and Accept show brought out the long hair, tattoos and band logo patch covered battle jackets to the fancy Howard Theatre. The venue originally opened in 1910 and eventually became DC’s version of the Apollo Theater by catering to a mostly black audience by booking top blues, soul, motown and gogo acts. It closed in the early 1980’s but has been reopened after about $30 million worth of renovations which completely overhauled the exterior and interior. It is located just off of the U Street corridor near both the 9:30 Club and the Howard University campus. The classic styling of the exterior really stands out in this area of the city. The interior is very clean and modern looking with the walls adorned with photos of various black performers (such as James Brown and Diana Ross) who, I’d guess, have played there in the venue’s historic past. The staff at the Howard were extremely nice. They were all wearing black suits and were very helpful with any questions one might have. 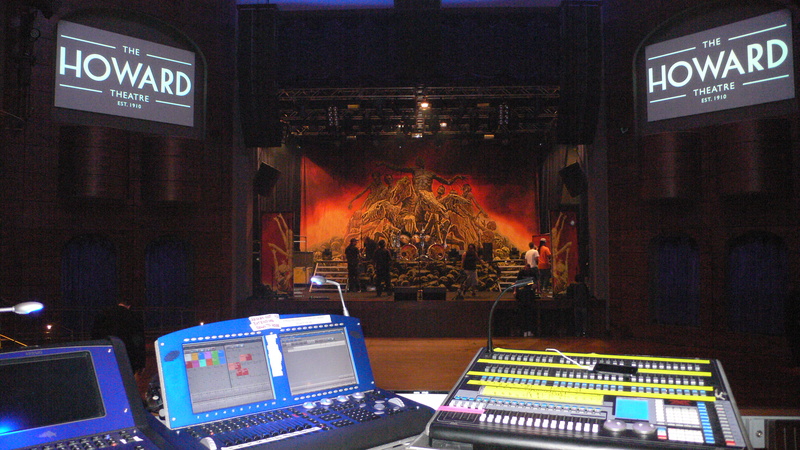 In all honestly, the Howard Theatre seemed like it might be a little too nice for a metal show. You could tell they were new at this whole hosting a metal show thing. For example they brought water down to people in the front rows between bands on a serving tray, which is really kind, but just leaving a couple of pitchers on the bar with some cups would have worked too. They also didn’t have a barrier between the stage and the band, just a couple of bouncers standing where there were gaps in the monitors presumably to prevent people from climbing on stage. They were pretty big guys and it definitely affected the sight lines. There are large screens on either side of the stage that you could watch the show on and there was an upstairs mezzanine with seating, however, that section was closed for this show. The sound at the venue was pretty good and the lighting wasn’t as fancy as the set up at the 9:30 Club but it was pretty bright and made the bands look good. I did have a few gripes with the venue, though nothing too major. The flooring in places was a bit off and had what seemed like air bubbles under it that were a bit awkward to walk on, particularly in the mosh pit area. 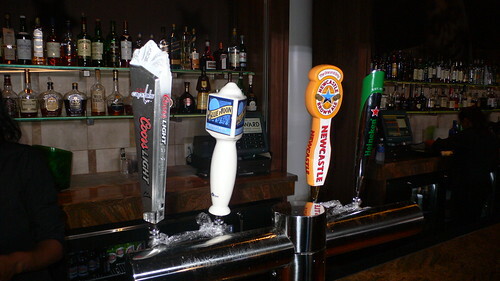 They didn’t have a lot of beers on tap, and certainly nothing that could be called a micro brew or local beer. 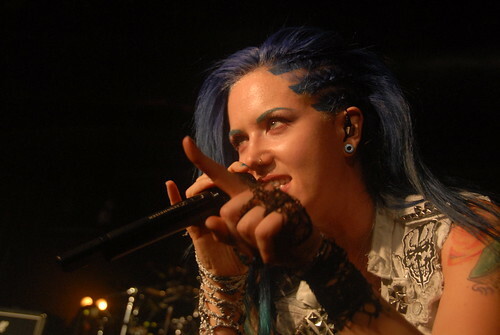 Again, the lack of a photo pit was annoying to me, but I suppose that’s more of an issue for me than most people. 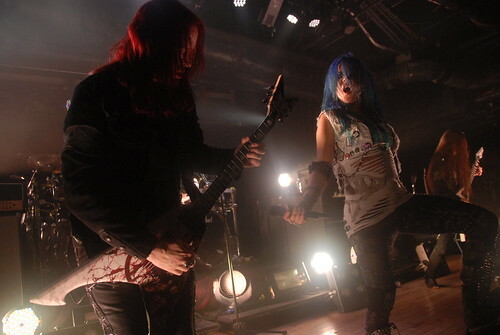 Also, they shooed everyone out of the venue after the show very quickly. Did you want to hang out with your friends over a few beers after the show? Too bad, get out. Everyone was out the doors and the bars were down within about 10 to 15 minutes after the show ended. It seemed a bit rude after an evening where the staff was very hospitable the rest of the night. The biggest problem I had was that the show wasn’t very well attended and I really didn’t see the venue do any kind of promotion for this show aside from posting it on their website. Throughout the night people were coming up to me thanking me that my site had told them about this show, which is cool and all but really the venue should have gotten the word out better. This was their first metal show and with several more coming up on the calendar (Morbid Angel, Symphony X, Epica) I was hoping they’d have worked more to get the word out. But hey, I guess that’s my job too. Well, that’s my take on the new Howard Theatre, let’s move on to the bands that played that night. 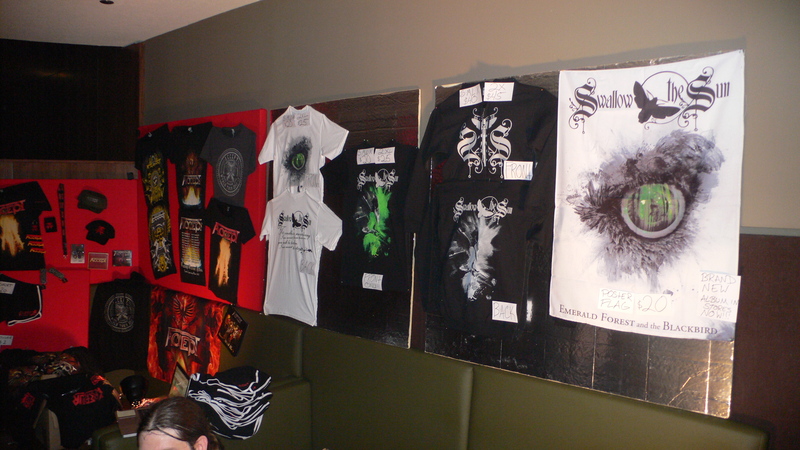 I completely missed the opening act, Swallow The Sun, because the show started so damn early. 6pm doors, really?!?! They’re a good band but I saw them two years ago with Katatonia and Orphaned Land so I wasn’t too upset I had to miss them. I got there as the classic German metal band Accept was setting up and they took a while to do so. 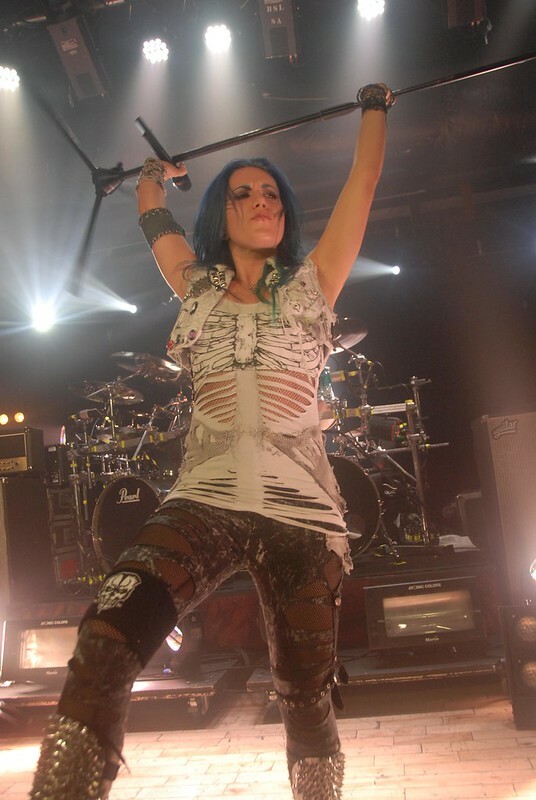 As I mentioned before, this was the first night of the tour and so there are bound to be some issues. On one side of the stage the band’s stacks toppled over, almost into the audience, and they had to put them back up. 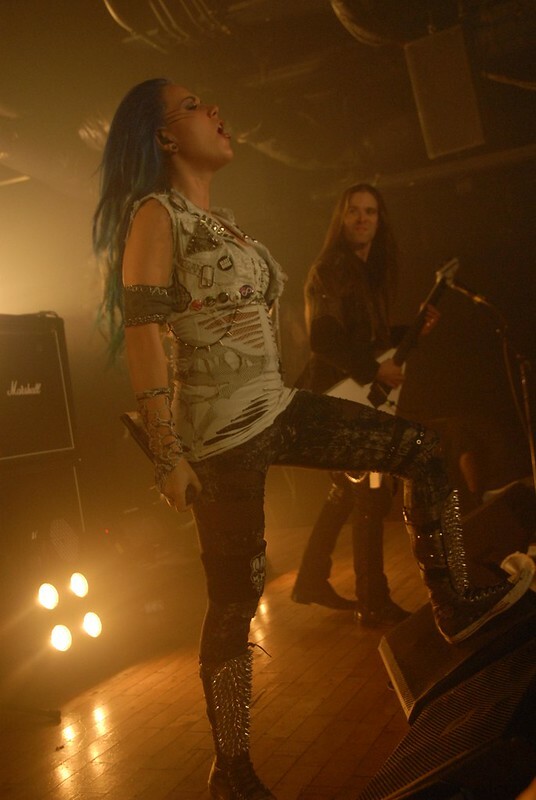 Technical issues caused the band to take quite a while to set up and the show ended up being delayed considerably. Regardless of all those set backs Accept still put on a really fun show. They formed in the 1970’s and are a bit corny, their most famous song is Balls To The Wall after all, but they sure get the crowd going with their catchy riffs and sing along chorus lines. 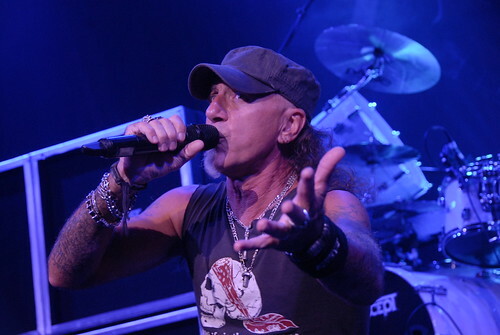 Udo Dirkschneider, the band’s famous ex-vocalist, hasn’t been in the band for several years but Mark Tornillo did a great job fronting for those classic songs and his stage presence kept everything entertaining. 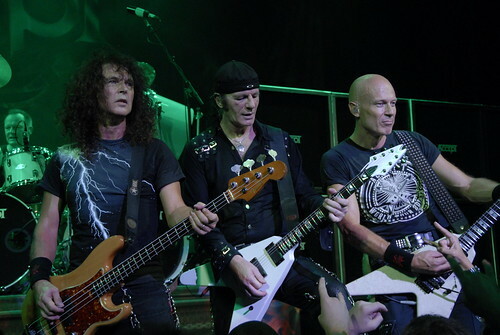 Of course lead guitarist Wolf Hoffmann was in peak form showing off his ability to make all kinds of wild eyed facial expressions while soloing without looking at his hands. Their set list was a good mix of old and new, and you can view that here. 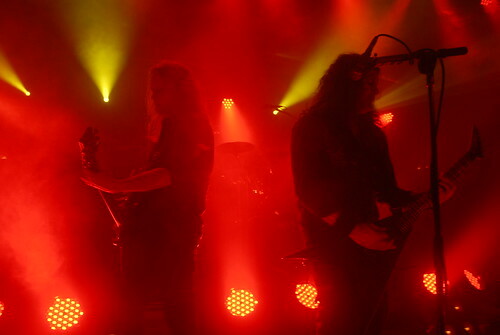 The band really did a great job getting everyone pumped and set the stage for the final band of the night, Kreator. 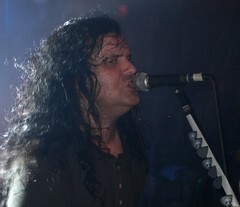 Kreator is one of the big three of German thrash bands from the 1980’s, and my favorite of the three as well. They’ve had a long career with 13 studio albums to date. That’s a lot of material to try to cover in one set and no matter what they play they’re going to leave some favorites out of the set list (which you can see here). 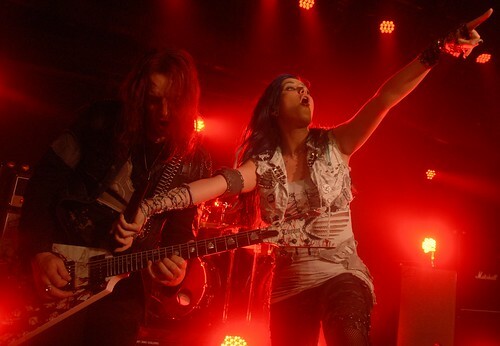 They took a while to take the stage due to more technical difficulties but once they did the shredfest really began. 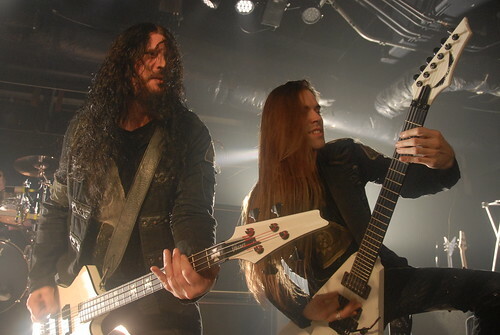 They started off with a few songs from their latest album, Phantom Antichrist, and ended up playing a total of five songs from it. 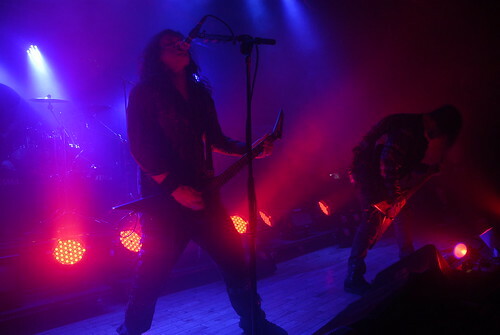 The rest of the set was filled with classic Kreator songs, older and more modern, and their mosh friendly riffs kept the energy level high for most of their set. The band had so much artwork on stage with them it almost looked like a maze, but it did look pretty cool, especially the massive banner in back with the zombie horses. 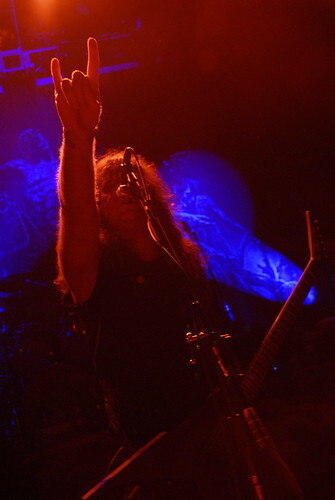 Kreator wasn’t as charismatic on stage as Accept though frontman/guitarist Mille Petrozza did a good job of of keeping people excited between songs. 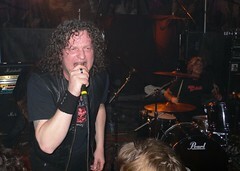 Guitarist Sami Yli-Sirniö walked off stage during a song at one point, presumably for technical problems, and came back. 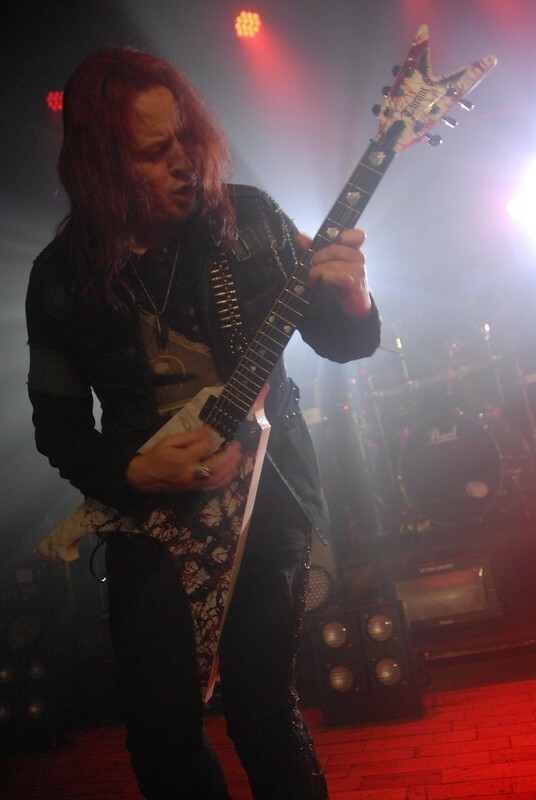 His guitar sounded muddy in the mix for most of the set and Kreator’s overall sound didn’t sound as good as Accept had. That’s all probably due to more technical problems that can’t really be blamed on the band. 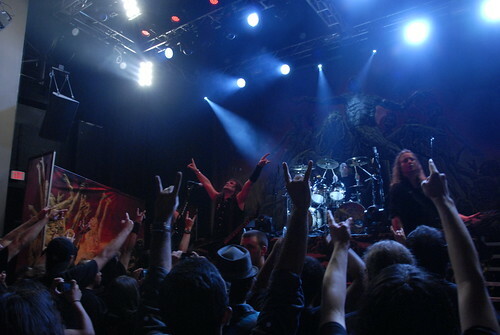 Still it was a hell of a lot of fun as Kreator always brings it to their shows and this night was no exception. It is a shame that the delays made several in the already sparse crowd leave early to be able to make the metro before the trains stopped running. 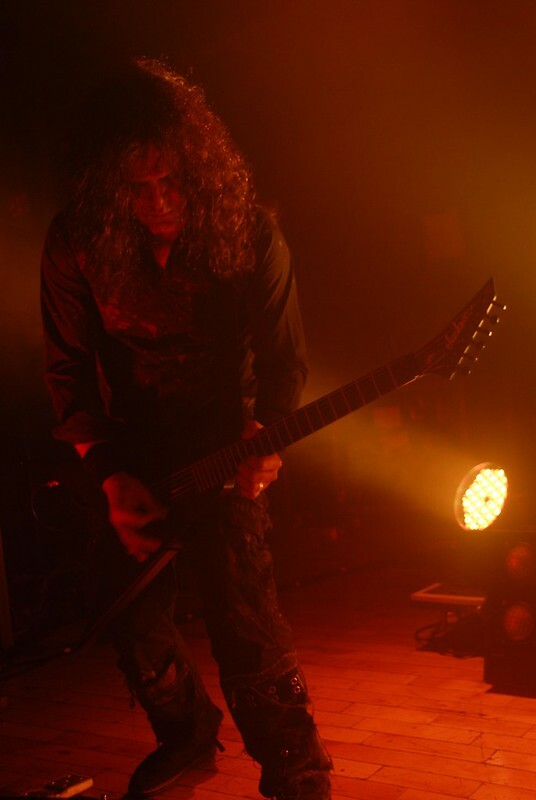 In the end Kreator is still one of the best thrash bands to see live and their performance at the Howard Theatre proved they’ve still got it. After the show I hung outside the venue for a little while talking to people, including a guy I met named Will. He’s the assistant brewer at Port City Brewery which is based in Alexandria, Virginia, and he was handing out flyers for a metal night he’s trying to get started there on September 19th. He seemed cool and you can tell he’s got a real passion for metal. Will said he has been frustrated by the lack of places for metal heads to hang out in the area when there isn’t a concert going on so he figured he’d try to start something up at the brewery he works at. Since he brews the beer while listening to heavy metal it only makes sense that he’d invite people to come out and drink the beer while doing the same! It sounds cool and you can check out the details about the event, including how to submit song suggestions, here. 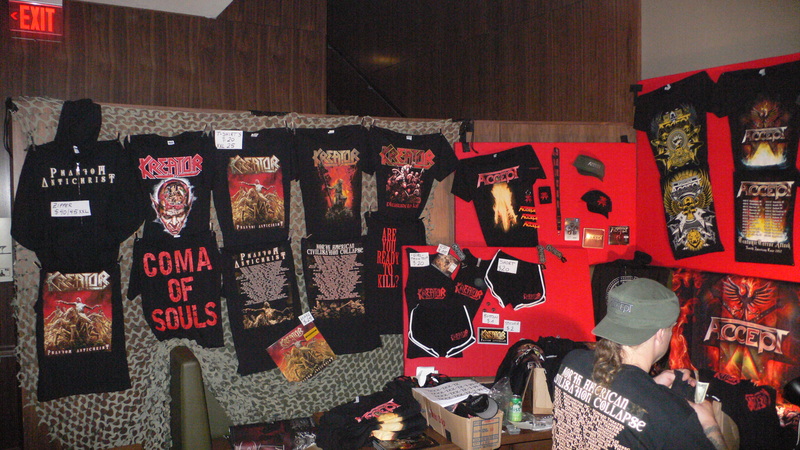 If you’re reading this somewhere else and planning on catching this tour, I shot photos of the merch booth that you can see here and here, which should give you an idea of what the bands will be selling and for how much. Well, I hope you enjoyed this review. 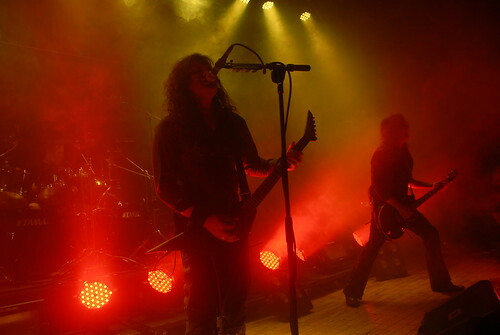 You can check out the videos below that I shot, one of Accept and the other of Kreator and if you’d like to see more of my photos from this concert you can see the rest of my shots of Accept here and Kreator here. 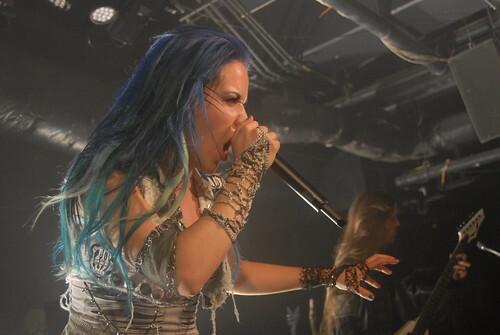 Stay metal everyone and support the scene you’re a part of!